Today is the last day of 2013. Here is a review of my stocks journey from 2011 to 2013. 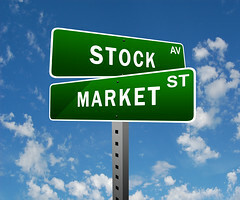 I started my stocks journey in 2011 and the Euro crisis happened not long after I bought my first few stocks. My initial idea is to build a dividend portfolio when I first started. As I was still a noob and due to lack of experience, I got cold feet and thought that dooms day is coming. I sold off my holdings at a significant loss. So my first year in a battle resulted in a blood shed. If I had held on to those stocks, the results would have been so much different, the stocks rebounded much higher after that. Most of the stocks are doubled the price today! 2011 resulted in net loss of $1479.40. I have learnt to never join the mass to sell in a crisis, with every crisis there is opportunity. In 2012, I was much more cautious in picking stocks to invest. I restarted my engine again by buying blue chips that pays good dividend such as Starhub and SGX. I also picked up Lee Metal as they are paying generous dividends. 2012 resulted in net profit of $932.12. It always feels good to see dividends coming in! I have learnt that dividends forms a very important part of my stock portfolio. It builds up my war chest and gives me a shiok feeling! This year, 2013, I have learnt quite a bit and gained more experience in the market. I got better at picking which stocks to buy. However, I found out that I have always sell them too soon. I need to give time for companies to grow! I also traded stocks more often, sometimes buying companies that I do not really know much about and relying on TA for entry and exits. It is not really suitable for me and suffered a little loss in those trades. Different strokes for different folks. Know that high can go higher and low can go lower! Using CPF to buy stocks is also a great way to increase my CPF returns as compared to earn only the 2.5% interest government is paying. It is important to only buy companies that you have great confidence when using CPF to buy and they pay more that 2.5% dividend yield, so that your nest egg can grow faster with lesser volatility. Stocks investment is largely rewarding for me this year as I have positive returns in both cash and CPF. I have learnt that it is important not to be greedy. It is best to leave emotions out of the equation. I will concentrate on building up my portfolio in 2014. Buying growth companies that gives good dividends. It is very important to learn how to leverage on financial products to build up our nest egg faster. The knowledge of making your money work harder for you is the key to financial freedom, the key to unlock the shackles of employment.